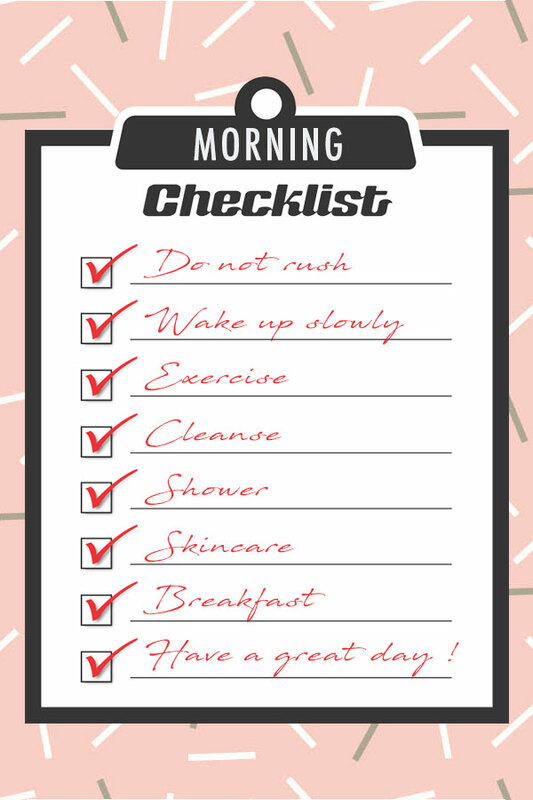 When it comes to your morning skincare routine, do you rush around, grab a wet wipe, quickly lotion up and dash out of the door? 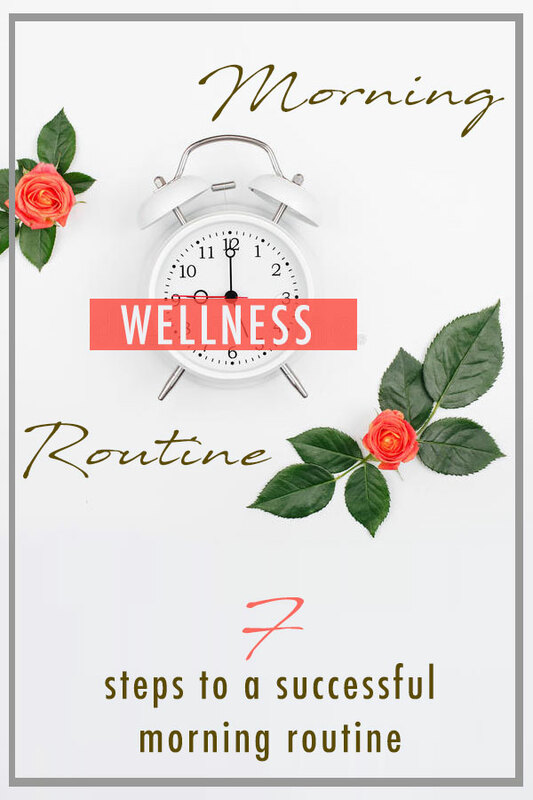 Morning routines doesn’t have to be rushed. When planned they can be relaxing and set your mood for the day. Set aside 10 – 15mins in the morning and rip the benefits all day long. Put everything you need aside the night before. If you have a dedicated space, that’s even better. Always leave what you need there so you don’t get frustrated hunting around for things. Rushing always leaves you frustrated and is not a great start to your day. Get one of the ambient lights to slowly wake you up or an alarm with a soft increasing volume. Avoid very loud ones that make you jump out of bed. Add a 10 min snooze between the first wake up and the time you actually have to get up. During the 10 min snooze find one or two things you are grateful for in your life and appreciate them. Next, declare a possibility you are creating for that day. For example, I am the possibility of calm and peace. Commit to this and focus your mind on those two words throughout the day. Meaning if your co-worker talks too much, you focus on what you are committed to- calm and peace NOT annoyance. Let him/her rattle on or simply excuse your self because you consciously choose to remain calm and peaceful. On the next wake up call please get up and do a few morning stretches or exercise to wake up those muscles. Some people like to do morning yoga. find what works for you. Wash your face to wake up that sleepy skin and remove old oils, dead skin and unplug those pores. This allows your skin to be clean and prepped for product application. Next, apply your preferred cleanser. Are you a cotton pad person or a rinse of? It doesn’t matter, it is what works for you. This is the perfect time to upgrade your shower experience to a mini spa session. Use uplifting and refreshing essential oils to fully wake and refresh you. Focus on the things you are grateful for and say positive affirmations. Showering can strip body oils leaving your skin to dry out quicker. After your initial scrub up and before you rinse off, add a few drops of our shower oil and massage all over. Gently rinse off with lukewarm water. Your skin should now have a light oil barrier to lock in moisture and hydrate. Pat, not rub your skin dry with a soft towel. Apply a facial toner and body moisturiser with SPF if needed. Do your makeup and look fabulous. Have a healthy breakfast and a cuppa. My favourite is a smoothie. You practically can make anything out of frozen or fresh fruits and a handful of greens. Check out some recipes here along with some DIY home spa recipes. However quick your morning routine is, it should leave you fresh and alive. Morning routines doesn’t have to be rushed. When planned they can be relaxing and set your mood for the day.